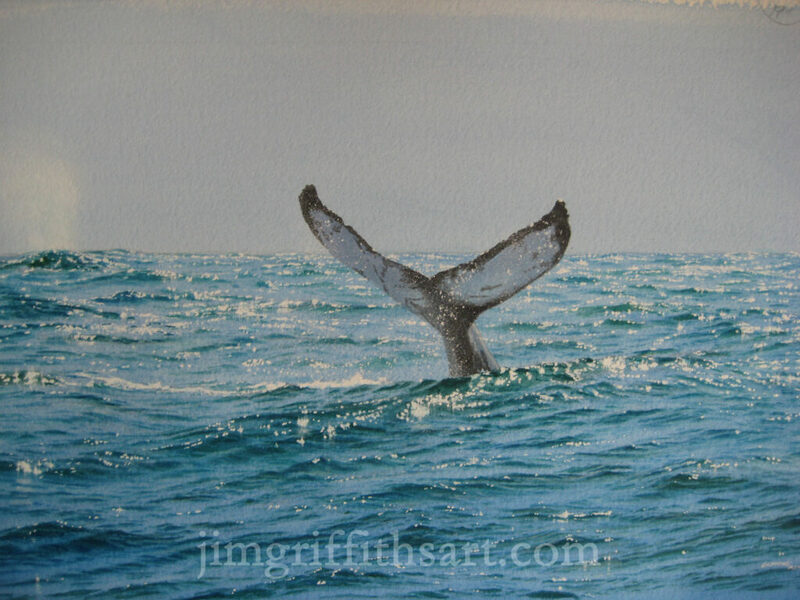 Unless otherwise noted, all of the Artist's work is in gouache paint on Arches 300 lb. watercolor paper. 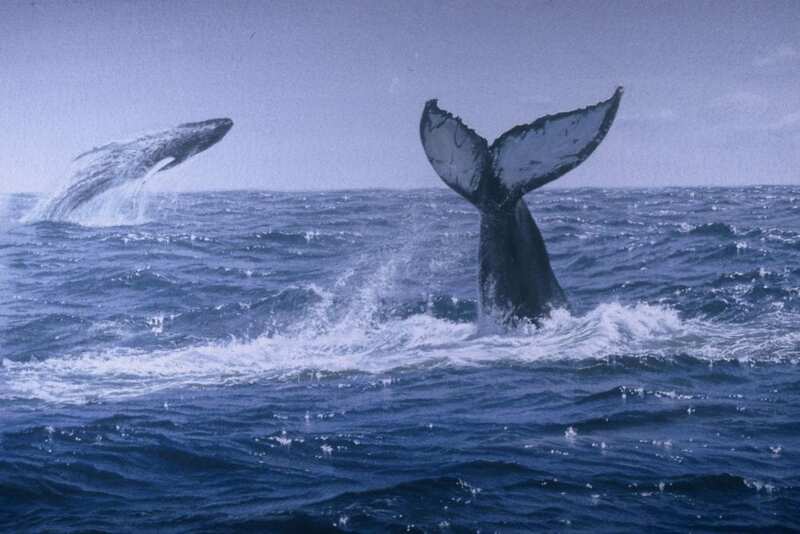 “Dance of the Giants" (II) , 12 1/2 x 19”, Humpback Whales in Monterey Bay, California, Collection of the artist. 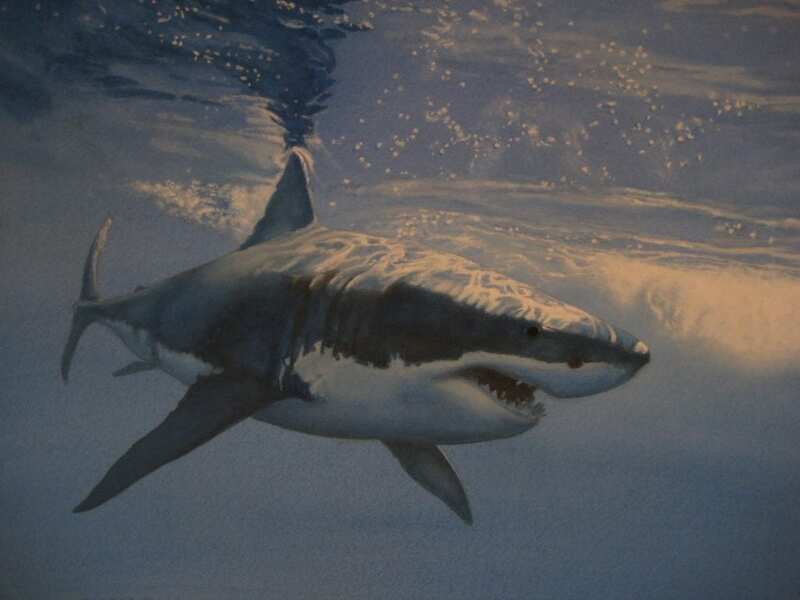 "Eye to Eye'", 12 1/2 x 19”, A 20-foot long Great White Shark, Collection of the artist. 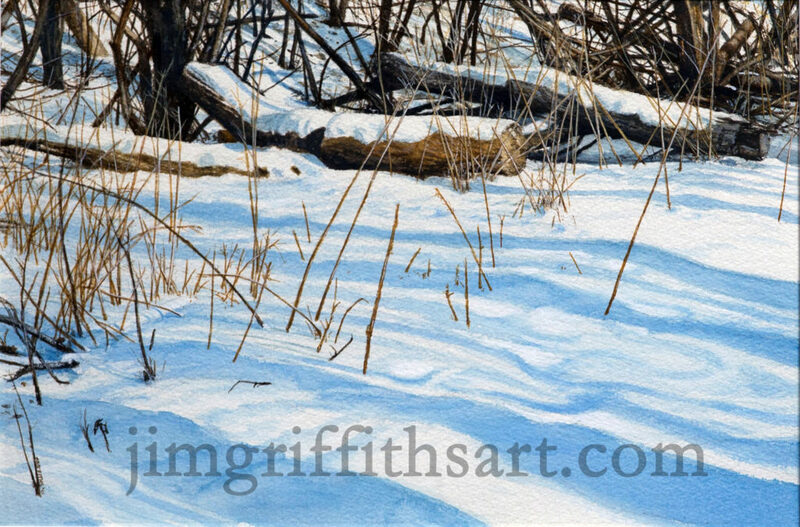 "Along a Path Less Taken", 10 x 15", late afternoon in the woods; Collection of the artist. 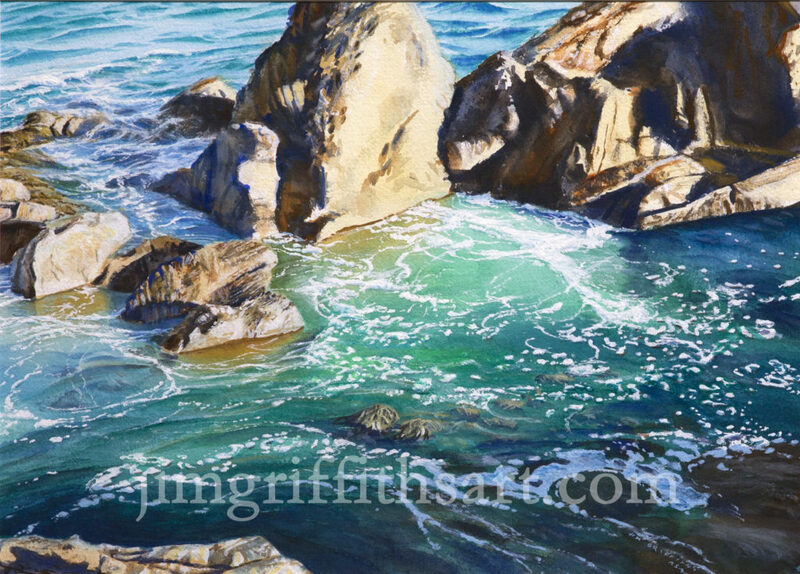 "Off Point Lobos", 12 1/2 x 19", off-shore rocks with Pebble Beach in the background; Collection of the artist. 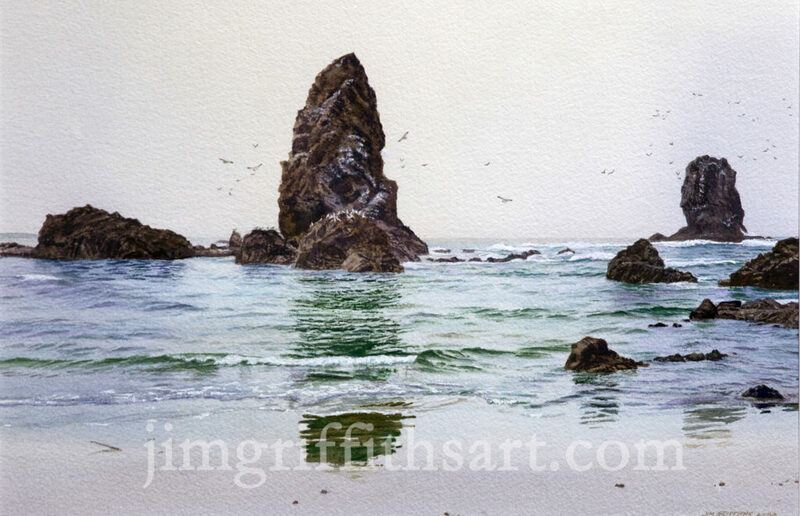 "Waiting to Roll in" 12 1/2 x 19", fog bank off Newport, OR; Collection of the artist. 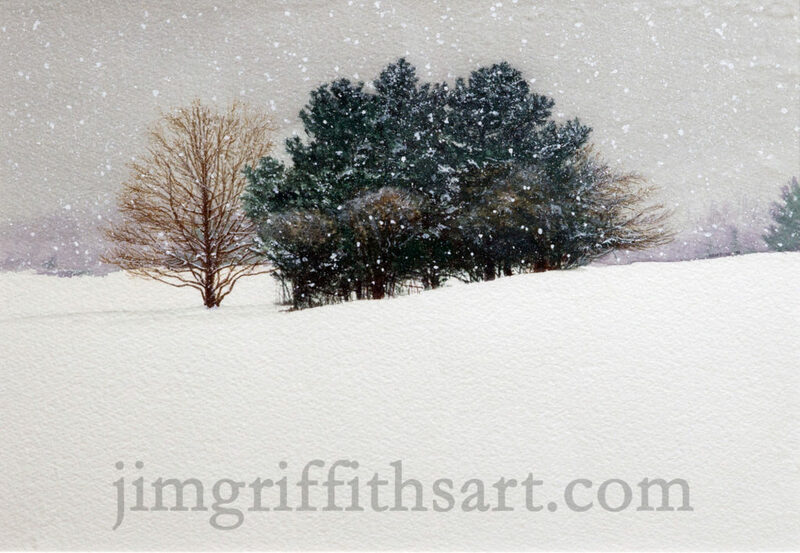 "Silent Snowfall", 10 1/2 x 15", on a quiet winter's afternoon; Collection of the artist. 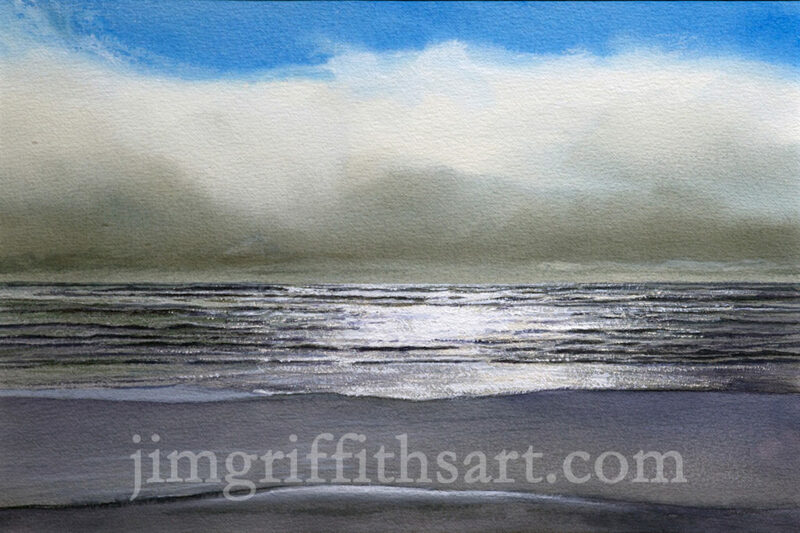 "The Shoreline at Portsmouth", 12 1/2 x 17 1/4"; Collection of the artist. 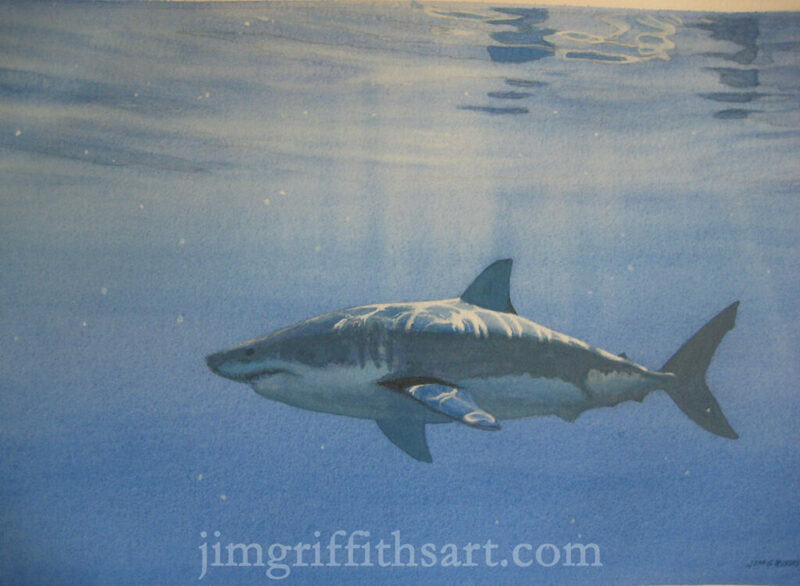 "Time to Worry" 12 1/2 x 19"; two Great White sharks circle patiently collection of the artist. 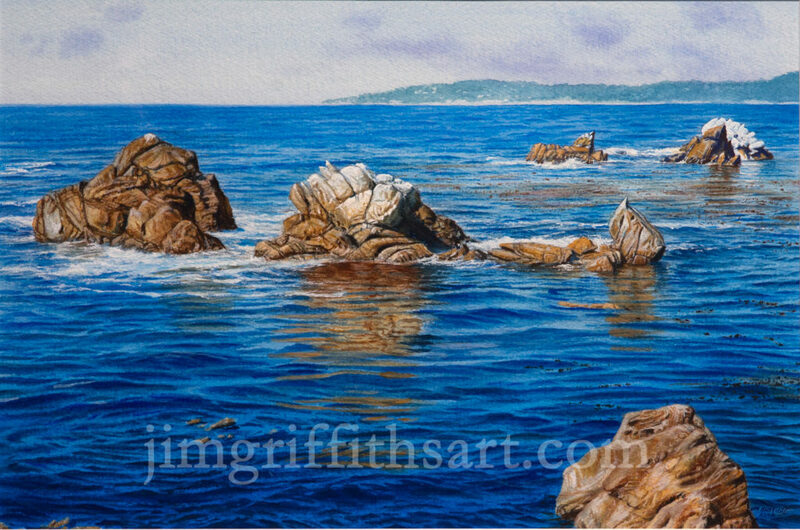 "Hazy Monterey Day" 12 x 19"; Humpback whales in Monterey Bay, CA; collection of the artist. 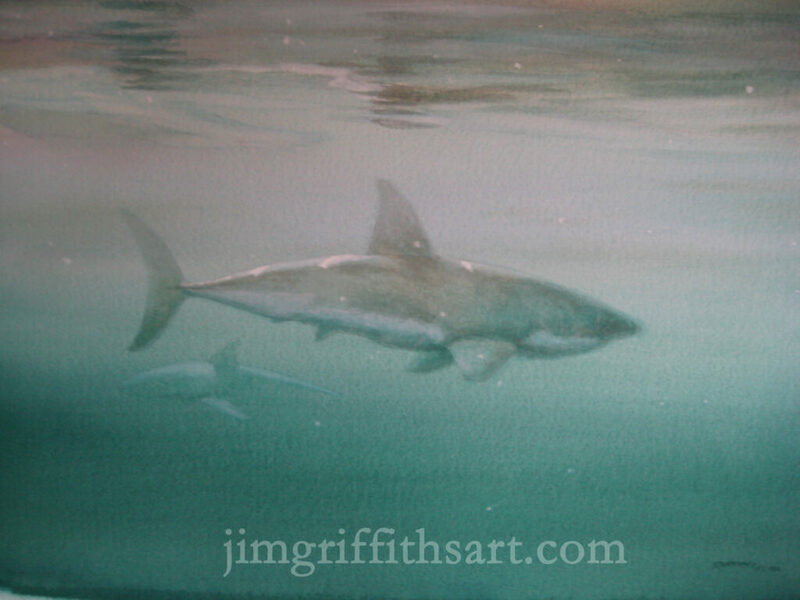 "Going where ever he wants" 12 1/2 x 19"; a 23-foot Great White shark; collection of the artist.